“It’s always very productive and fun to ask for each others advice and throw ideas back and forth or collab on tunes together”, say Fabich & Ferdinand Weber to Viralbpm, which sat down with these two rising artists for a b2b exclusive interview. 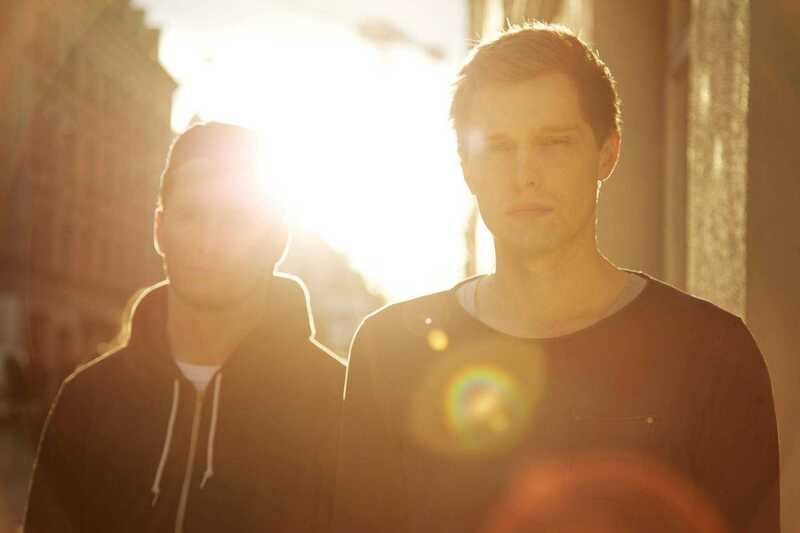 Fabich & Ferdinand Weber met in a nightclub where Ferdinand Weber was DJing as a resident, when Fabich walked up to him because he was interested in getting behind the decks and said “hi”… A couple of years later the Munich-based producers see themselves being nominated as the “Best Break-Through Act (Group)” at 2016 IDMA Awards and had their latest track ‘All Of My Love’ with Saint WKND premiered on BBC Radio 1, which cemented their reputation as up and comers even further. Primed to take over in electronic’s newest transition to the more melodic, deeper side of things, the talented Germans Fabich & Ferdinand Weber are currently working both on a lot of solo stuff and on new collaborative productions. “It’s always very productive and fun to ask for each others advice and throw ideas back and forth or collab on tunes together”, say Fabich & Ferdinand Weber to Viralbpm, which sat down with these two rising artists for a b2b exclusive interview. V1. Recording new music and blending fresh ideas into your upcoming projects can obviously be a difficult process for artists at times. Are there days in which you’re struggling in finding new sounds and ideas? What’s your source of inspiration? Ferdinand Weber: We are both working on new tracks almost everyday, so of course there are moments when you are stuck or run out of ideas. Fabich: We always get a lot of inspiration by going trough acapellas singers sent us or by watching a cool movie or going to a museum. V2. Fabich & Ferdinand Weber, you’ve both had amazing successes with both original track and remixes. How important is it for an artist to score a big hit during the first years of your career? V3. Are there any other moments you could think of, which defined you career? Any particular accomplishments that stand out when you think about the last few years? Fabich: There isn’t really one accomplishment that defined my career in my opinion. More like a lot of different puzzle pieces that all came together at some point. I’m just super happy to see the great responses from people all over the world. A dream for me definitely came true though when I was able to release “One, Two” on the Magicians label, he’s one of my favourite artists ever! Ferdinand Weber: Last year I had the chance to play at Reading & Leeds Festival for BBC Radio 1 with some of my favourite Artists like Hayden James & Hannah Wants. It was like a dream come true. I got a lot of inspiration from these two days. V4. Germany, and especially cities like Berlin or Munich, are pretty strong when it comes to the presence of the electronic music scene in clubs and bars. Is this also some kind of inspiration for your work in the studio? Ferdinand Weber: Berlin is still an important source of inspiration for me. There is so much going on every day & night. The lifestyle and the music scene is really different, but that’s what I love about it. Fabich: Not that much to be honest, my goal is to come up with something unique and different each time so I try to not listen to other artists too much. V5. We see a lot of producers collaborating with vocalists who came from completely different genres, even with rappers or folklore singers. You also blended perfectly soulful vibes with your own personal style on your lovely tune “Aaliyah”. Is there any artist out there, you would really love to have him/her featured on one your tracks? Fabich: I grew up listening to a lot of R&B and Rap so I’d love to work with Pharrell or a singer like Frank Ocean or the Weeknd. That would be amazing. Ferdinand Weber: I think my favourite singer/songwriter at the moment is Will Heard. Would love to work with him someday. V6. What we really like about your style, is that you’re always trying to mix up new things into your beats, but in the same time your songs are accessible by everyone out there, without compromising on quality. For example, your edit on The Weeknd’s “Devil May Cry” was fantastic. Is it hard for you to try and combine a radio friendly sound, but experiment with new sounds at the same time? Ferdinand Weber: Thanks! Not really, we just do what we both love and don’t think about if its radio friendly or not. V7. Do you have any plans for the rest of the year regarding live events and touring? Or any future projects for 2017 you can already talk about? Fabich: We are both back at ZIG ZAG Club Paris together this month to celebrate the 5th birthday of our Team, the Unity Group! We are already excited, it’s always a lot of fun there. Ferdinand Weber: There are a lot of writing sessions coming up in the next months. Next week we are going to London to work with a few interesting singers from the UK and hope that the songs are ready for release soon. Fabich: Yes, can’t wait to show you!